Hulft’s Dorp Or Kafka’s Dorp? Franz Kafka is a 20th century literary giant who focused much on the judicial process that all societies rely on to uphold the rule of law. His unfinished yet universally acclaimed novel – ‘The Trial’ is an incisive commentary on the arbitrariness of the judicial process. “Traitors in Black Coats Flocked Together,” was the caption of a news item that appeared on 9th July 2009 in the official Web site of the Ministry of Defense. 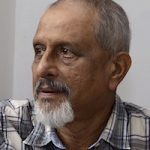 The news story identified the five lawyers who represented the Sunday Leader newspaper at a hearing in a Mount Lavinia court as having “a history of appearing for and defending” LTTE guerrillas. It carried pictures of three of those lawyers. In addition, the story did something that was remarkably original in our judicial history. It announced that the original Defense team of the defendant newspaper had voluntarily resigned from handling the case citing it was against their ethical and moral standing to oppose a national hero like the Secretary of Defense, who made Sri Lanka a free country. A news report on Thursday announced that the former Defense Secretary Gotabaya Rajapaksa today undertook before Court of Appeal to appear before FCID on June 25 to make a statement. Franz Kafka haunts Hulftsdorp. Kafka was a literary giant who focused on shame and guilt. He was particularly incisive with the absence of shame and guilt in people wielding power and authority. With a devastating eloquence, often almost uncanny and frightening, he painted despair, solitude and alienation in biting, abrupt lines. He condemned social orders and systems of administering justice which were moral neutral. He was the archetypical inhabitant of the ‘surveillance state’. The term ‘Kafkaesque’ is used even in this day, to describe the nightmarish legalese resorted to by judges and lawyers who alone can comprehend the logic of illogical situations that often unfold before courts. The term “Kafkaesque” also describes court proceedings manipulated by a coercive state machine that compels citizens to navigate through procedures that are designed to frustrate those who dare to challenge authority. Today we are bewildered by Judges recusing themselves from hearing cases, putting off trials by months, releasing accused persons known to be domiciled abroad on bail to seek medical treatment in countries of their domicile and later issuing Interpol red notices to bring them back. As Defense Secretary Gotabaya Rajapaksa did not wish to give evidence in person at the District Court Mount Lavinia in his litigation against the Sunday Leader. He wanted the case transferred to the District Court in Colombo so that he could give evidence from his desk in the Defense Ministry by video link. The Defense Ministry web site described the lawyers appearing for the Sunday Leader as traitors. The same Gotabaya Rajapaksa, patriot, dual citizen, intellectually inspired presidential candidate and corporatist prophet in the digital age, seems comfortably cocooned in a happy state beyond the reach of the laws applicable to other citizens. That is the kind of land and people that Franz Kafka wrote about. Unhappy with and confounded by the way justice is dispensed today, this writer thought it best to share the experience of the peasant in Kafka’s novel – The Trial. A peasant arrives in search of justice. There is a doorkeeper on guard at the entrance to the halls of justice. He begs to be admitted. The doorkeeper says he cannot admit the man now. Come later he says. Since the door leading into the Law stands open as usual and the doorkeeper steps to one side, the man bends down to peer through the entrance. When the doorkeeper sees that, he laughs and says: ‘If you are so strongly tempted, try to get in without my permission. These are difficulties which the man from the country has not expected to encounter. He thinks that the law should be accessible to every man. He looks more closely at the doorkeeper in his furred robe, with his huge pointed nose and decides not to incur his wrath. He decides that he had better wait until he gets permission to enter. The doorkeeper gives him a stool and lets him sit down at the side of the door. There he sits waiting for days and years. He makes many attempts to be allowed in and wearies the doorkeeper with his importunity. The doorkeeper often engages him in brief conversation, asking him about his home and about other matters, but the questions are put quite impersonally, as great men put questions, and always conclude with the statement that the man cannot be allowed to enter yet. The man, who has equipped himself with many things for his journey, parts with all he has, however valuable, in the hope of bribing the doorkeeper. The doorkeeper accepts it all, saying, however, as he takes each gift: ‘I take this only to keep you from feeling that you have left something undone.’ During all these long years the man watches the doorkeeper almost incessantly. He forgets about the other doorkeepers, and this one seems to him the only barrier between himself and the Law. In the first years he curses his evil fate aloud; later, as he grows old, he only mutters to himself. He grows childish, and since in his prolonged watch he has learned to know even the fleas in the doorkeeper’s fur collar, he begs the very fleas to help him and to persuade the doorkeeper to change his mind. Finally, his eyes grow dim and he does not know whether the world is really darkening around him or whether his eyes are only deceiving him. But in the darkness, he can now perceive a radiance that streams immortally from the door of the Law. Now his life is ending. Before he dies, all that he has experienced during the whole time of his sojourn condenses in his mind into one question, which he has never yet put to the doorkeeper. He beckons the doorkeeper since he can no longer raise his stiffening body. The doorkeeper must bend far down to hear him, for the difference in size between them has increased very much to the man’s disadvantage. ‘What do you want to know now?’ asks the doorkeeper, ‘you are insatiable. In this passage Kafka, poignantly and elegantly reenacts the absurd world of the law. It is a chaotic world in which the process overrides, supersedes and defeats the purpose. Kafka’s world of the law is a bleak world. That is the world in which, we ordinary citizens have their uneasy dreams of justice, finally repudiated. Courts are the bureaucratic embodiments of the law. While all are equal before the law, Kafka’s peasant becomes less equal before the door keeper. Let us go back in time. This is how Lal Wickremetunge, Lasantha’s brother and publisher of the Sunday Leader described the Kafkaesque court in Mount Lavinia. Lal Wickremetunge laments. Kafka does better. He puts justice on trial. Kafka describes the faceless, godless, indifferent universe of lawyers nitpicking on irrelevant essentials. Contemporary lessons from the Kafkaesque commentary: We have wasted three years negotiating with the ‘door keeper’ to enter the door. We are yet to learn that the damned door is meant for us. Let us not allow the doorkeeper to shut it on our face. Franz Kafka in his novel – ‘The Trial’, dives in to the chaos and absurdity of the process of the law with the supersonic precision of a MiG fighter plane. CT – Can we remove Jim Boar from these columns? But it’s an exercise in futility ……… I am sure you are not foolish enough to believe that a majority of “educated” Lankans can grasp Kafka; let alone the plebs ………..
Rajapakses have done away with the last remanets of inherited “rule-based” colonial-governance that the people can’t comprehend ………… and supplanted a truly indigenous-governance the locals can comprehend ………. and the “Sinhalese” heartland can’t have enough of it ………… they’ll trounce all comers in the Sinhalese heartland. I suspect Gota is just a decoy ………. it’s going to be Mahinda’s son whatever his name is ………. Pl. also write to US Ambassador and ask why US Govt.which took Lanka to UNHRC, and has a 500 page document on war crimes in Lanka, has not charged US citizen Gotabaya who had “Command Responsibility” for war crimes in US? As a US citizen he is under US jurisdiction? Is it to have a US citizen as President of Lanka?! After all Gota Jarapassa privatized SL Navy ops. to Avant Guard for his US handler to gun run from Israel and Ukraine in Lanka’s biggest national security scam. Worse than MCC/IMF directed bondscam by Ranil! With the possibility of Gotabhaya Rajapakse contesting at the next Presidential election Gotaforbia is spreading like wild fire. If Ranil contest with Gotabhaya, Ranil will get only the votes of Demalu, Sinhala Christians and few Sinhala Buddhist Colombians. Muslims as usual will jump to the band wagon. Sinhala Buddhists hate Ranil. Not me …….. I just love serial killers ………. my only complaint is ………. my boy Gota is in the minor league ………….. he is not as accomplished as the eternal favourite good ol’ Adolf! What is described here is what THIS YAHAPALANAYA GOVERNMENT has given respectability and acceptance to. The current agglomeration of self-seeking plunderers of the public purse is simply one of only a very slightly lighter hue than their predecessors with whom they share the ultimate aim -self-aggrandizement. There is no doubt GR misused his position. The International Bar Association’s Human Rights Institute (IBAHRI) was concerned and pointed this incident to the then GoSL. [The CJ SL impeachment saga was pointed out by IBAHRI as a steady erosion of ‘Law and Order’]. When GR visited Australia as a GoSL employee (expat at that!) he demanded and got a Guard of Honour! GR has this knack to have the cake and eat it. He never thought that his US citizenship will haunt him. The Franz Kafka ‘The Trial’ will be replayed in a US court! Gotapaya still a dual citizen. One country is USA. Other one was Srilanka. He is prepared to give up his US citizenship only if he is allowed to contest for President post otherwise he will not give up US citizenship. In other words he thinks US citizenship is much more important for him than serving his home country. Why didn’t he give up his US citizenship after May 2009? What he is telling us is that I only need the power, not the country. We Srilankan need some one who was here with us during the difficult times and good times, not for some one who will run away once he looses his power. You have given us the moral reasons for using every means possible to prevent Gotabaya from becoming Sr Lanka’s president. Do you also realise that he is debarred from being elected as President OTUS. Do you remember the “birther’ stories about Barack Hussein – how he was born in Kenya, but his mother knowing that this baby was to be POTUS faked a Hawaiian nativity for him? Once we know that we occupy the moral high ground, let those who have filed War Crime and other charges in the US System of Justice attend to the empirical requirements. Ajith, you’ve brilliantly identified the motivations of Gota. Leave the rest to American lawyers – see how that Avenetti fellow is running rings around Trump. Gota and Trump are twin curses that humanity has inherited. Gotabhaya came at a very difficult time after JR, Premadasa, Chandrika miserably failed to tackle Demala terrorism and gave the support to President Rajapakse to get rid of megalomaniac Prabhakaran and his terrorist outfit LTTE. This is the main reason why Demalu do not like Rajapakses. 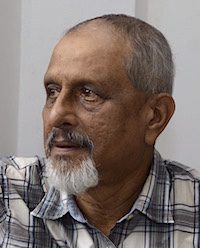 There is nothing to get from this guys articles … except to see his hatred towards Sinhala Buddhists and the Rajapaksha clan… common UNP or Jeppa stalwart … lamenting in the face of the inevitable defeat. 1) How many people and journalists were killed since the end of the war in 2009 ? 2) Is this amount immensely greater than innocents killed during crushing the JVP insurgency in 1989 ? 3) Dont you think it is common for innocents to die in crushing a terrorist outfit, even if it was done by your slave masters in Europe or america. 4) Is the death of Lasantha and Ekanaligoda a greater evil than the good done in saving 1000’s of lives monthly loss due to war? How backstabbing and ungrateful to crucify a person who killed 02 and saved 20 million from death. There was a evangelical outfit linking UNP and the LTTE… ending of the war saved both sinhala buddhists and Tamil hindus from being evangelized by the UNP and LTTE. Those who lived in the LTTE controlled areas will know the truth. Both buddhist and hindus share a common belief system … they should be thankful to whoever who stopped the war. I get it. Basil Rajapakse’s news web portal is writing negative side to see ho is blaming. doe sanyone know this crap written in the west, in order to comment. YOU would have written from the bible. who bought it from Galleon Rqavi. The people if they have any self respect should reject this guy who until today has not renounced his citizenship in Satan-USA ! Until today he is considering the pros and cons . A country needs a man who is suffering in that country. Not some hypocritical patriot who is trying to impose a family dynasty on a stupid race with absolutely no pride and even less intelligence. Ranil is filth. But the alternative is not fake Gota. Well written piece preaching to the sane. But, the nationalist minority are not sane. They are the doorkeepers and there are plenty of them. That is the tragedy of Sri Lanka that people have their government’s money stolen but still vote for the thieves because of the smokescreen of nationalism that is created and that too by a dual national. Gota and Mara do not read Kafka. They, perhaps, do not know who he is. Those who know are a vanishing tribe. You will be appreciated by this tribe, Sarath but what good will it do? Do keep writing though, simply because it gives our vanishing tribe the chance to read good writing and be reminded of great literature. In one commercial law (antitrust) case, all the judges of the US Supreme Court recused themselves as they had, while being practitioners, advised the defendant, a large multinational corporation. It is telling that the judges of our courts recuse themselves because of connections with a political thug and human rights violator. How can Sinhala Buddhists vote for a alleged murderer. May be they are prepared to share his sins and go to hell with GR. This is what Buddha preached bad Karma will follow the perpetrators and their followers.If Sinhala Buddhists practice what Buddha preached they all will vanish from earth sooner than later when all attain Nibbana..Birth is to suffer for Buddhists. Why be born again and subject yourself to suffering. This Author or his friends have no proof of any charges against Gotabaya but continue jabbering and rambling like his UNP friends. They have no proof as these charges were fabricated by his UNP friends. They will save these charges for next election otherwise they will have nothing to say. This Author seems to have no knowledge about threats on people who fought a civil war against LTTE. He is wasting readers’ time writing junk. This article has only displayed the shallowness of the author’s understanding (if any or even misunderstanding). Well, the CID and other investigative bodies can prove the charges against Gota but they are not allowed to do that by the powers that be. It’s always the posers, phoneys and imposters who demand total obedience, servility, and fanfare because of their feelings of inadequacy and the fear of being exposed. So we have fake clergy demanding obeisance; sham judicial system invoking “contempt of court” when criticized for its questionable handling of cases and spurious judgements; humbug defence secretaries demanding pompous protocols. Genuine people achieve their positions in society legitimately. They earn them through their ability, hard work and commitment. They carry out their duties with honesty, without fear or favour – unless corrupt politicians or their catchers interfere and derail their work. They don’t look for rewards or glory. Do how many of sri lankan people read this KAfka. Sunday leader, I heard, was bought by Basil rajapkse. IT was thought to be bought by GALLE ON RAVI or he still owns a part. that is why Mahinda rajapske and RAvi THE LIAR are friends.